A TWO DOUBLE BEDROOM 11th FLOOR LUXURY APARTMENT IN THE ICONIC KD TOWER. With PRIVATE TANDEM PARKING FOR TWO CARS. Also comprising, spacious lounge with open plan kitchen, large private balcony, ensuite shower room, luxury bathroom, with walk in storage room. Ideally situated within easy walking distance to HEMEL MAINLINE STATION and the town centre. Door to front with security entry system and stairs and lifts to all floors. Front door with entryphone, telephone point, wall mounted electric heater, recessed spot lighting, walk in utility/storage cupboard with cupboard housing hot water heater and plumbing and space for washer/dryer. An open plan lounge with kitchen area. Fitted with a range of base and eye level storage units with work surfaces to compliment, inset single drainer stainless steel sink unit with mixer tap tiled surrounds, integrated electric hob with stainless steel cooker hood over, built in electric oven, integrated dishwasher, integrated fridge/freezer and extractor fan. recessed spot lighting. Double glazed window, wall mounted electric heater, TV point, telephone point and double glazed door to balcony. Double glazed window and door to the balcony, built in wardrobes with overhead storage, TV and telephone point and wall mounted electric heater. 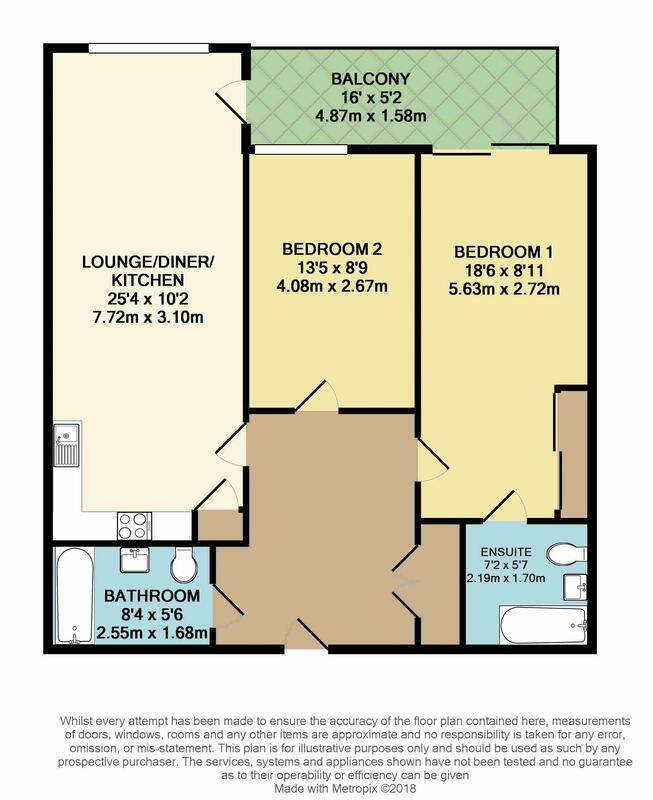 A three piece suite comprising shower cubicle with glass screen, wash hand basin with vanity unit, shaver point, low level WC, heated towel rail, extractor fan, recessed spot lighting and tiled surrounds. Double glazed window, built in wardrobes with over head storage, wall mounted electric heater and TV point. A three piece suite comprising panel bath with mixer taps and shower over, wash hand basin with vanity unit, shaver point, low level WC, heated towel rail, extractor fan, recessed spot lighting, tiled surrounds. Walk in storage cupboard with light. Secure first floor tandem parking for two vehicles.